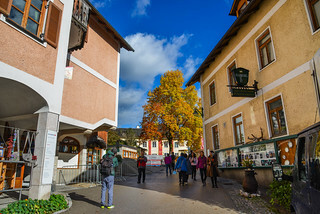 Hallstatt, Austria - Oct 15, 2018. Old town of Hallstatt, Austria. Hallstatt is a charming lakeside village in the Alps.